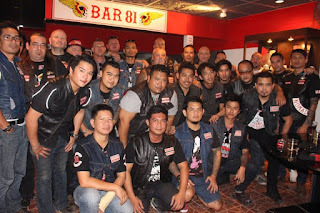 Another member of the Hells Angels Pattaya was arrested in Nakhon Sawan province for overstaying his visa. Damon Wait, 42, a British national, was taken into custody and will be deported. Wait was on the move from Chiang Mai back to Pattaya. He was intercepted by police and immigration authorities who clearly knew his immigration overstay status.